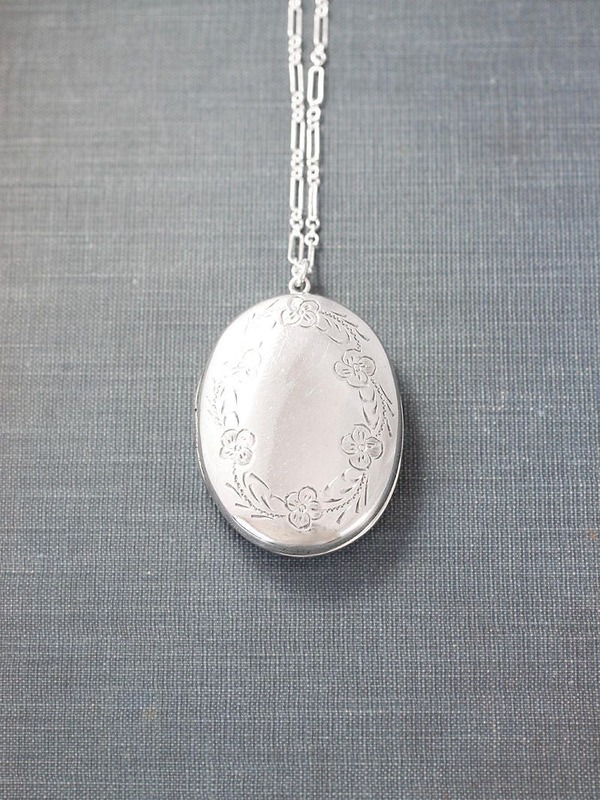 A simple wreath of flowers borders the edge of this beautiful vintage sterling silver locket. 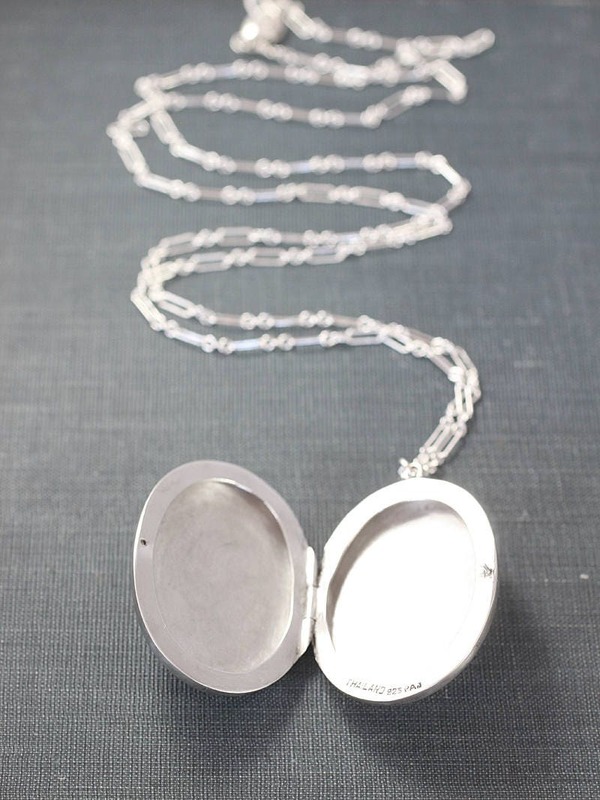 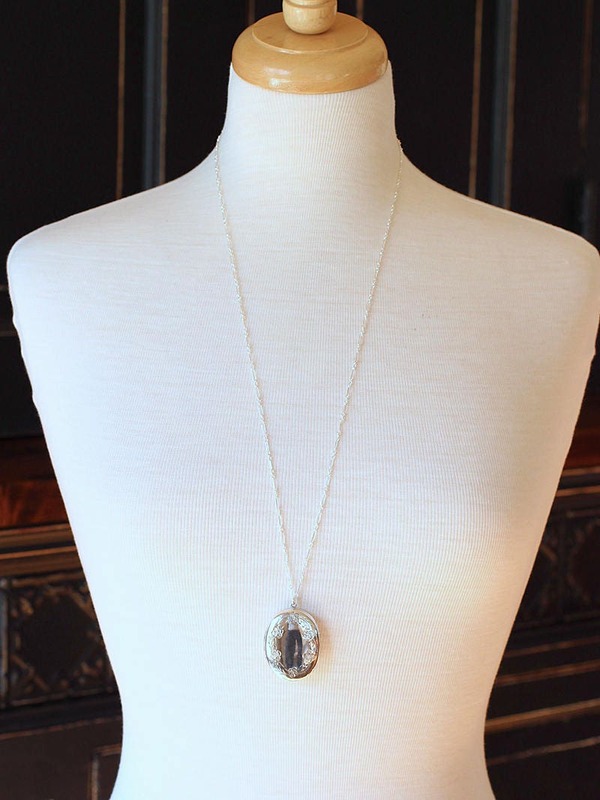 The generously sized locket opens to reveal two places ready to hold your beloved photographs. 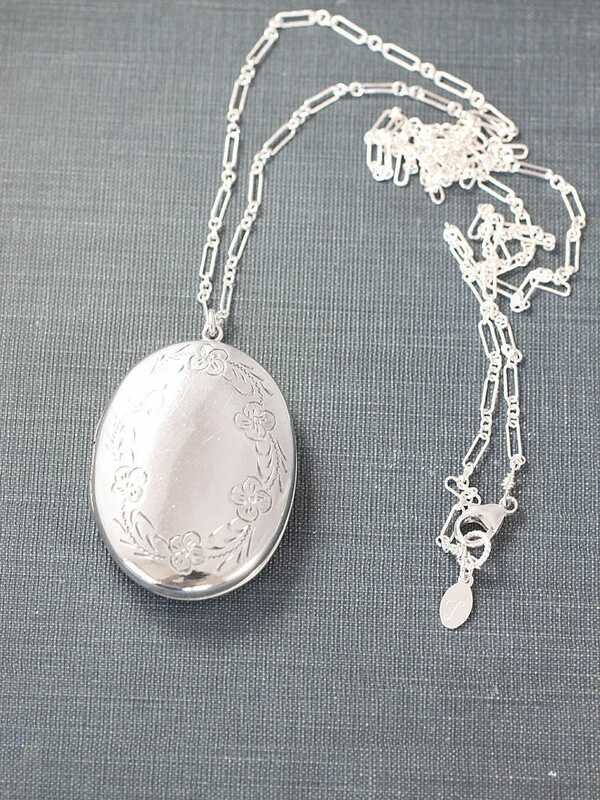 While I try to carry strictly lockets in excellent vintage condition, this locket does have subtle imperfections to the back; however, I have chosen to include it in my collection because of it's wonderful unique design and size. 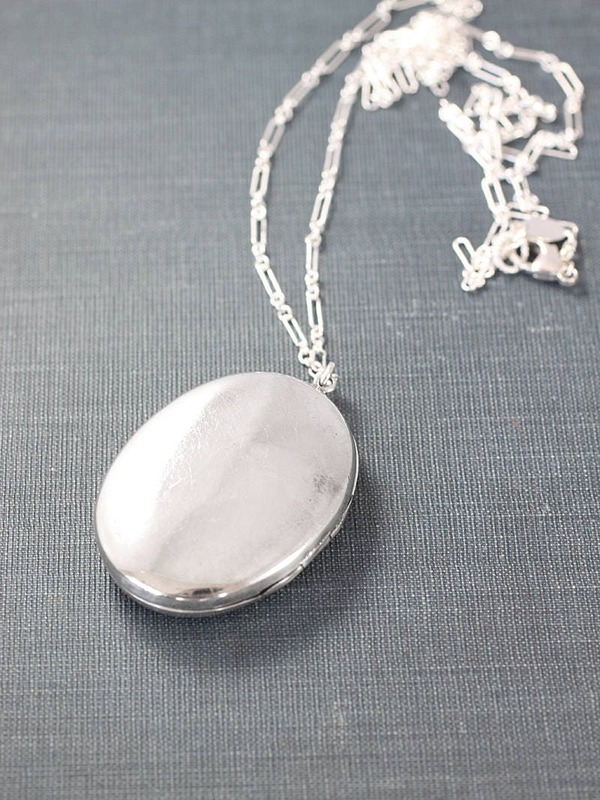 The locket dangles from a new long chain of patterned sterling silver hand finished with a trigger clasp and ring.